We are in sweater weather so why not have some fun with it? 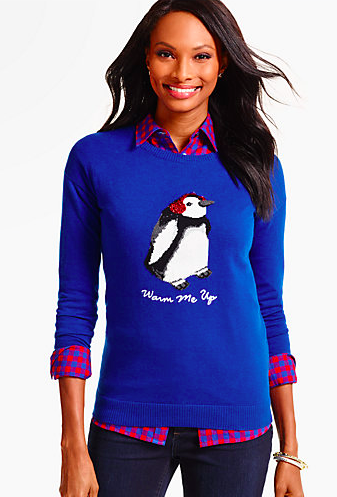 I love a cheeky graphic sweater with a great print. It's cute, simple, and easy to dress up for a party with the right accessories. 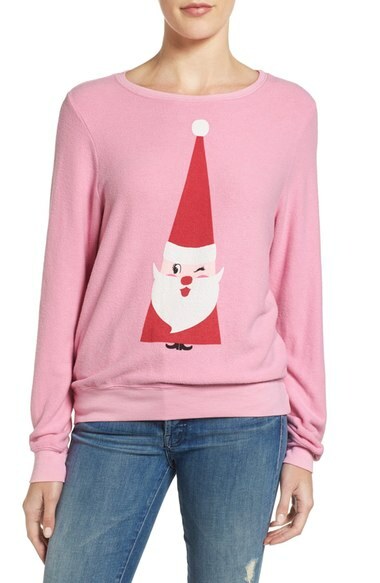 Who needs an ugly Christmas sweater when you can wear this adorable knit? Because isn't that what it's really all about this season? 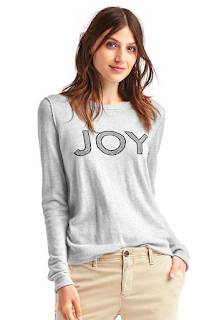 Great layering here. It doesn't get any cuter than a penguin in earmuffs. 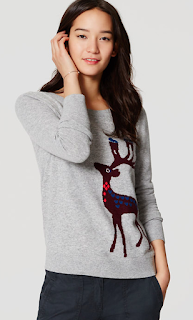 A printed pullover sweater is great for a quick outfit or great for layering. Holiday prints make them even better.